Lean red meat was popular with golden era bodybuilders, as it added size and strength. Back then Ric used a Presto Burger an electric that cooked a hamburger in a minute. Cheese omelets and cottage cheese were a favorite among bodybuilders as a protein snack. Back in the Golden Era of Bodybuilding, supplements were slim and eating was mostly real foods. There were vitamins, proteins and a few other supplements but nothing advanced as it is today. Even though it was the way it was, we were able to make good gains in training and set the stage for some of the greatest bodies in the world. We based our meals on meat, eggs and cheese. Sounds a little heavy and boring, but it worked. Lean red meat was popular, as it not only added size but strength as well. Chicken was number two on the list but today is number one. Red meat is blamed for heart attacks and hardening of the arteries, which is called cholesterol today. Our standard breakfast was hamburger patty, whole eggs and cottage cheese. Using the whole egg was preferred as the fat in the yolk was used for energy and not stored as fat. Cottage cheese was a perfect source of protein and also calcium. Back then I used a Presto Burger, which was a slim, black electric unit big enough to compress one hamburger patty and cook both sides in a minute. This was a handy cooking tool to have in the kitchen. I've looked for years to get one, but they don't exist anymore. They've been replaced by the George Foreman grill, which is way too bulky. The idea then was to eat large amounts of protein and fats and small amounts of carbs. This was not only a muscle building diet but fat cutting as well, and it worked! Fad diets came and went, as well as the Atkins diet, which is basically the same diet that the bodybuilders came up with long before Atkins. However, no one is going to listen to us, as we were freaks and people thought if they'd eat that way, they'd get huge muscles. We all wish it were that easy. Stage For Some Of The Greatest Bodies In The World. Rheo H. Blair came along with his take on diet and came out with a milk and egg protein, which dominated the market. His theory was to mix it with real cream as you were getting your protein and fats. 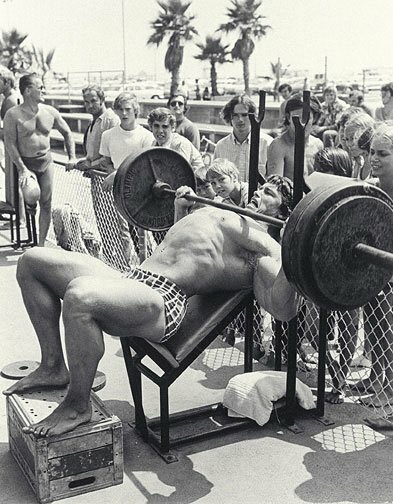 Larry Scott, Don Howarth and some of the greats followed this and built awesome bodies. This DVD is a tribute to Larry Scott, the first ever Mr Olympia Champion in 1965 and 1966. Larry is not only a great champion who is still in top shape today, he is also a great motivator and teacher. The main part of the DVD is his inspirational seminar given at the 2006 FitExpo in California (43 mins). Rheo also came out with his line of vitamins and digestive pills, which were little round balls of hydrochloric acid. They were a bit strong and could burn a hole in your stomach if you didn't have enough food. In those days we didn't care what protein tasted like and would eat anything to grow. I used dehydrated fish powder for a while, as it was pure protein. You can imagine the taste; it was fishy as could be. I didn't last a month on it. It was beyond anything I could stomach, but taste wasn't the issue as I said. One famous bodybuilder would take raw liver from the market, put it in a blender and drink it. He said he had the best results from that and looking at him, I believe it. I remember a few guys drinking quarts of milk on the beach, which was pure cream. We also took a lot of desiccated liver tablets, which you don't see around today. They were not only high in protein but rich in iron and B vitamins as well. Sometimes ingesting up to fifty a day was normal. They were replaced by Amino Acid tablets years later. Joe Weider came out with several varied types of protein and supplements at that time and many of them caught on as he had a weight gainer protein that would pack on the pounds. It was advertised in such a way that you could actually envision the muscle being packed on like slapping handfuls of mud onto your biceps. The trick to the weight gain on this particular supplement was the sugar that was added to it. So a lot of the weight gain would be fat. Supplement Was The Sugar That Was Added To It. Cheese omelets and cottage cheese were a favorite among bodybuilders as a good protein snack and pumped plenty of protein into the muscle. The cheese again was considered good fat for burning. We varied our meals and did add chicken and turkey whenever possible. Fish wasn't the most pleasant choice of foods, but it was good for leaning out. The problem with fish was after you'd eat it, an hour later you were hungry again. Fish just isn't that filling. I did try a six month program of eating just fish, eliminating the meats, filling in with chicken once in a while, and I got extremely ripped and still maintained my body weight. The key to our training and diet back then was being consistent with both, but experimenting on different ways of eating until we found what worked for us. Each person has to fit their own metabolic rate and find the system that works for them. It's really a trial and error thing but eventually it works. Back Then Was Being Consistent With Both. Today's diets have changed a bit and there are hundreds of really good supplements out there. There are combinations of protein, amino, glutamine, arginine and more that we never knew of back then. I can only imagine how much we could have improved ourselves if we would have had access to the supplements of today. But that's part of what time does as things evolve and improve. It's no different than if we had cell phones, voice mails, computers and video cameras in the Golden Era. We would have had much that we could document today instead of writing about it, you could see and hear it. But those were the days that I wouldn't trade for the world. It was an era that you had to live and be a part of to feel what it was about. I can only share these moments and hope that you can feel it as I did. 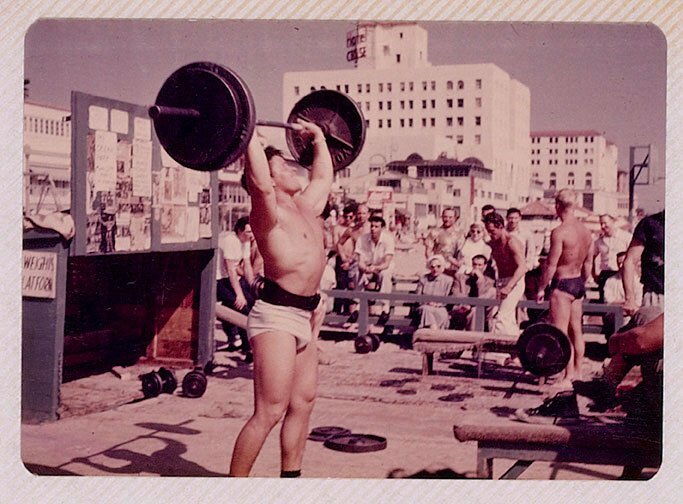 Bodybuilding, The Early Years: 'The Equalizer' Reveals Rise To Success! It all started when I was about 12 and saw my first issue of Muscle Builder Magazine. I kept reading these articles... Former professional wrestler Ric Drasin shares accounts of what led to his incredible success. How Bodybuilding & Fitness Popularity Increased Through Movies! 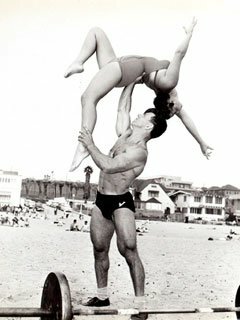 Years before I started training, I would watch movies and see people like Steve Reeves and wonder how they got that way and got into movies. Here's a blast from the past for you to see where many got their start. How Supplements & Diet Have Changed To Help A Bodybuilder Grow! 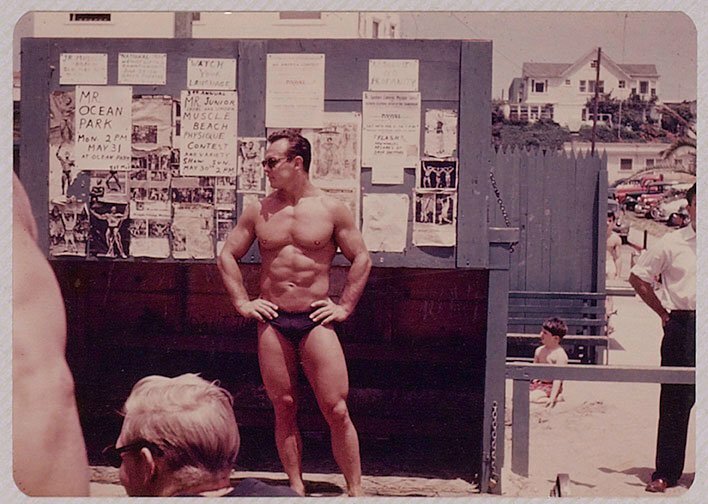 When I began training in 1957 very little was known about taking food supplements for bodybuilding. At best was the overall vitamin and 'load up with Vitamin C...' Here's a look at the progression I saw.